WASHINGTON — The Strategic Capabilities Office is under new management, and its new director intends to doubledown on the agency’s emphasis on artificial intelligence. In his first interview since taking over the office, Chris Shank, the new SCO director, made it clear he sees artificial intelligence as a sweet spot for his office. Roughly one third of SCO projects deal with autonomous systems, machine learning or AI in some way, Shank said, including long-range fires programs, cyber programs and some assorted with special forces. Shank is the the group’s second leader, following Will Roper, the office’s founder who is now the Air Force’s top civilian acquisitions official. But don’t expect major changes in how the office works. Although they share some DNA, the SCO’s mission is different from that of the Pentagon’s technology office, the Defense Advanced Research Projects Agency. Where the latter is focused on finding and prototyping the game-changing technologies for future battles, the SCO is trying to understand existing needs and address them in new ways. Getting those projects from tests to prototype to a tool used by the services remains a central challenge, Shank acknowledged, but he said that is one of the office’s core function. “Where SCO lives is the valley of death,” Shank said, referencing a term for when technologies infamously tend to fail. The SCO had been reporting directly to the Secretary of Defense, but under the Pentagon’s recent reorganization, it now reports to Undersecretary of Defense for Research and Engineering Mike Griffin. 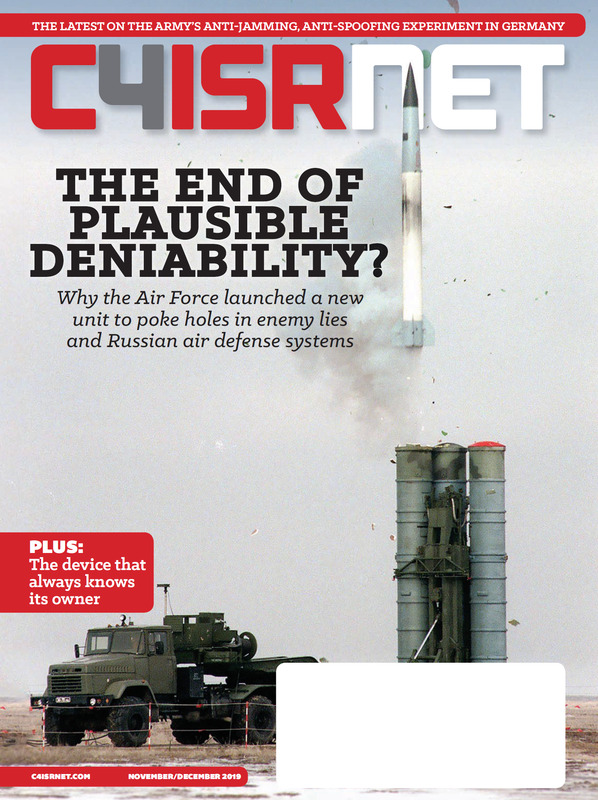 Shank acknowledged the importance of coordination within that office, particularly with AI, which now has a number of different centers of gravity within the Pentagon – a $2 billion push by DARPA, an AI center under Chief Technical Officer Dana Deasy, a directorate under the R&E enterprise, as well as various service-level initiatives. The R&E enterprise has weekly meetings to deconflict investments in AI, Shank said, emphasizing the different business models and goals between the groups. Shank described two programs — each named after pieces of the Iron Man movie mythos — as examples of how SCO can use AI to assist the services in the near-term. Paladium is a broader Navy logistics effort, which involves “smart sustainment” in support of fourth-generation fighter aircraft. A sub project for that is JARVIS, which involves putting a robotics suite out into the field with maintainers that can scan existing parts and quickly re-manufacture them. Out of the shadows, the SCO now needs to justify its long-term existence to a new president. 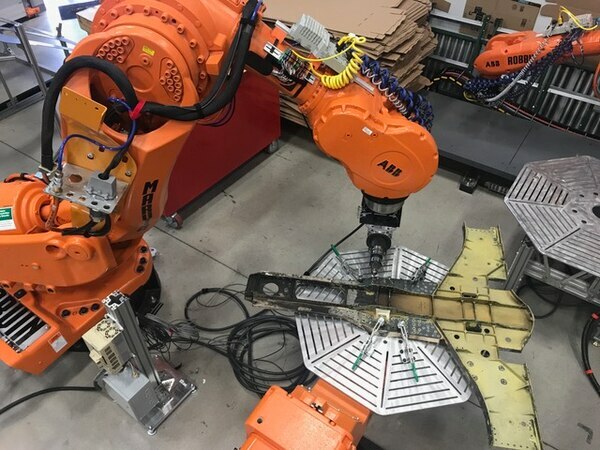 Shank said the office identified two parts that would require around 2,000 man hours to build out; JARVIS should be able to quickly recreate those, saving both time and the potential errors that come from human-machined pieces. Perhaps those projects aren’t as shiny as some of SCO’s other programs, such as the Perdix drone-swam, but finding areas where AI can be injected onto existing system and where “the human brain doesn’t have to work” as hard will have benefits across the Pentagon, Shank said. The office is primarily focused on the Indo-PACOM and European Command theaters, Shank said. However, he expects to soon provide an update on the Sea Mob/Ghost Fleet initiative, which involves converting existing naval vessels into unmanned systems. He also indicated that there would be unmanned projects in air and land that are unveiled in 2019. The SCO is working on a report for Congress on the future of the organization.